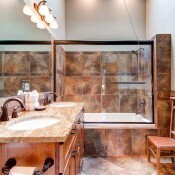 These luxury units feature a great location and stunning interiors. 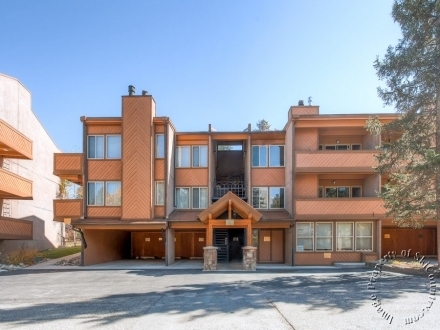 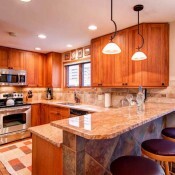 Located on King’s Crown Road next to the Hilton Hotel, these units are just two blocks from Peak 9, and three blocks from Main Street and one block from the Snowflake lift.. 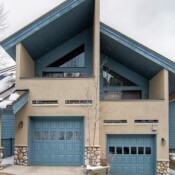 The Town Trolley and ski shuttle stop just one-half block away. 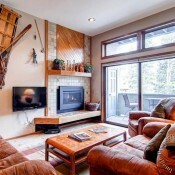 The units are tastefully decorated with high ceilings and beautiful exteriors. 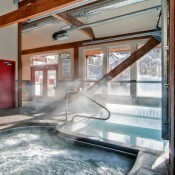 Some units feature a private hot tub, and all units have cable TV, a fireplace, and kitchen. 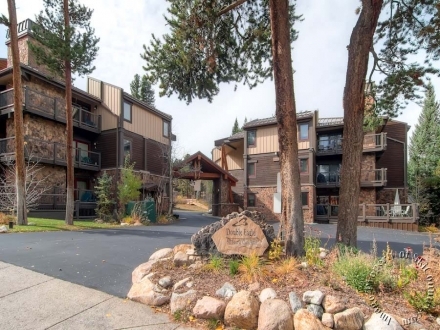 The complex provides a pool, washer-dryer, and covered parking for your convenience. 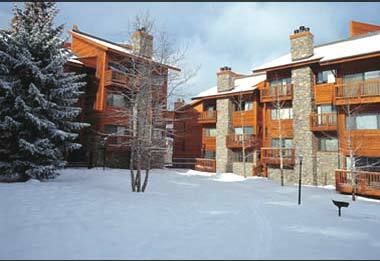 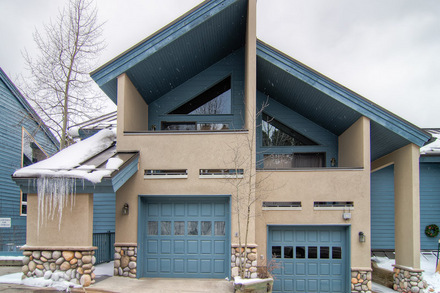 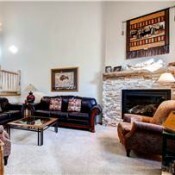 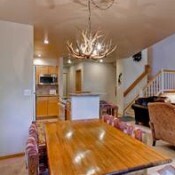 Chimney Ridge is an excellent choice for your luxury stay in historic Breckenridge.